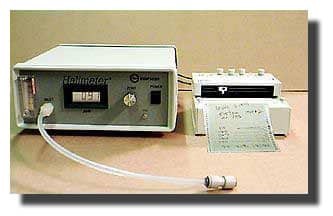 Before the introduction of the newer Halimeter® models, featuring peak-hold and averaging (October, 2002 and beyond), it was not always possible to catch the peak reading, if the user were temporarily distracted, or talking to the patient. Thus, many users of these original models opted to add the recorder. It is customary for most diagnostic procedures to generate some sort of permanent record. Thus, an air of professionalism is added to your diagnosis/treatment protocol. 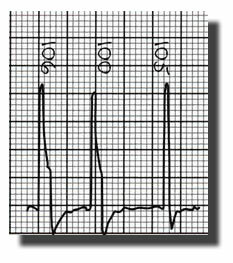 This permanent record, called a Haligram®, is highly useful for before and after comparisons. There’s no better way to give your patient a visual, lasting impression of treatment efficacy.